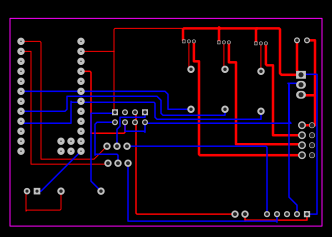 I am new to PCB/schematic design and wanted to make a simple Blynk RGB controller just to see how it went. I have made the schematic and PCB layout. I was wondering if anybody would be able to briefly look over it and see if I have made any obvious errors? Not really what we do here But fun looking project. Sorry, I am not experienced with PCB layout. 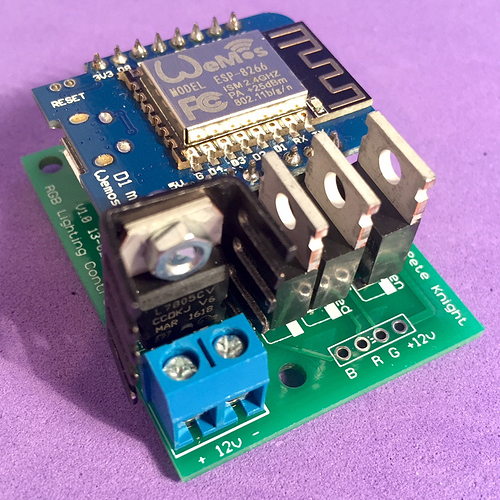 I have to say that you’re making life unnecessarily difficult for yourself by using an Arduino Pro Mini and ESP-01 together. It’s much easier to use a fully-fledged ESP8266 to do everything. @Pete: you are using MOSFET’S or NPN’s in this project?. 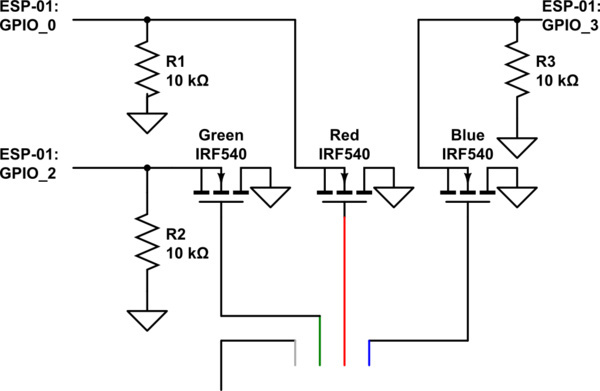 If MOSFET’s then it is worth noting the gate threshold voltage when choosing the right ones. 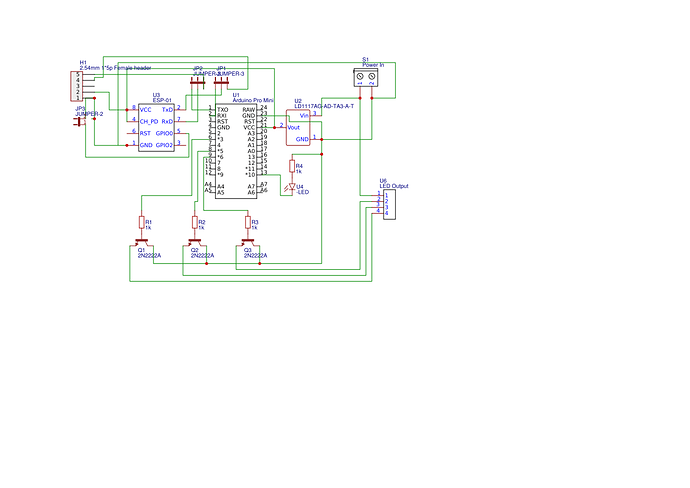 I’m using IRLB8721 N-Channel MOSFETs as reccomended in the Adafuit link. They have a Gate threshold voltage of between 1.35 and 2.35v, so work well with either 3.3 or 5v logic levels and can sink much more Drain current than I’ll ever be drawing through them, so they run nice and cool. And what software is that ? My guess is Eagle ? And last for cheap pcb orders i recommend JLCPCB.com they charge 2 dollars for 10 pcs when your board is smaller then 10cmx10cm and you can order parts from LCSC at the same time and only pay shipping once for both packages.You also get a coupon on your first order that im sure you will find on the site. I’d agree. That’s where I had mine made. I use elecrow.com, cheaper shipping costs and same prices on PCBs. They seem to be a little more expensive, but i just went on their website and they also make custom cases for projects ? Do you have any experience with that ? I have been looking for a service like this. yes i usually do the same but i would like some alumium cases and my cnc machine isn’t powerfull enough for that kind of work.